Welcome to TMP Recommends, the weekly series in which I share five films you should keep an eye out for on TCM over the next seven days! All times are listed in EST and come from the US version of the TCM schedule. Happy viewing! This exciting little musical stars none other than Ol’ Blue Eyes himself, Frank Sinatra. He plays Glen Russell, a playwright who gets caught up in a case of mistaken identity when producer Gordon Miller (George Murphy) believes him to be a perspective backer for a new play. Playwright Glen doesn’t have a lot of dough, but he has a hidden talent — one heck of a voice! And though he can’t save the play financially, he may be able to put that talent to good use and draw in audiences. Posters for this film at the time of its release declared a simple tagline: “It’s Fun!” And it truly is a delightful watch. 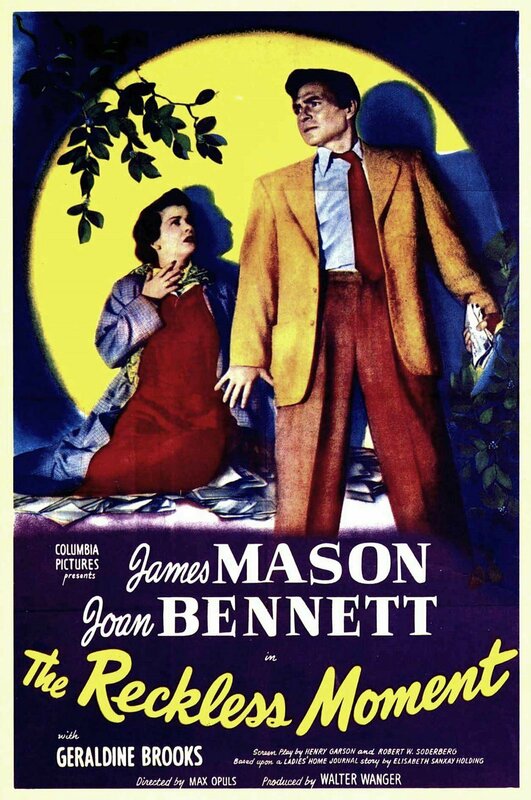 This underrated crime drama stars Joan Bennett as Lucia Harper, a middle-class wife living in Balboa, California. Lucia’s daughter, Bea, has started hanging out with the wrong crowd — particularly a sleazy man named Ted (Henry O’Neill). Lucia is willing to do anything to protect her daughter, and when tragedy strikes for Bea and Ted, Lucia becomes involved in a blackmail plot in order to do just that. A great cast, an engrossing plot, and nice cinematography make this film well worth watching, especially for noir fans. 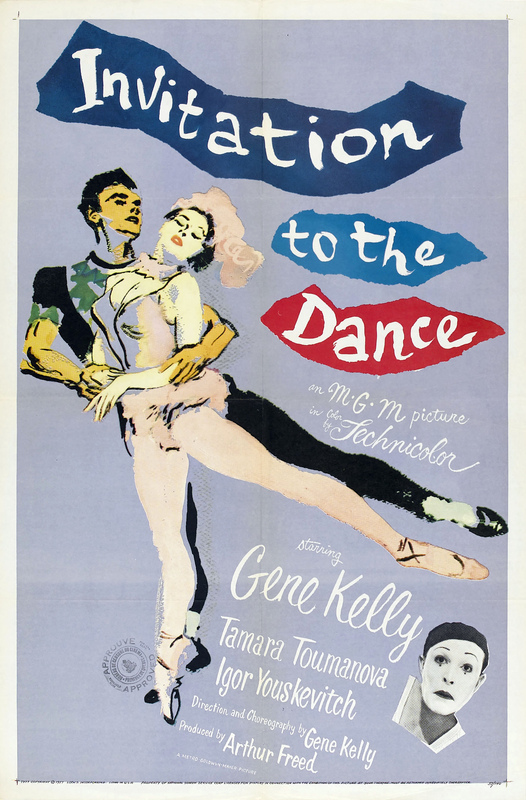 Gene Kelly’s talents are on full display in this unique film, which he directed and choreographed with the intention of teaching mainstream audiences about dance styles. Invitation to the Dance tells three stories – “Circus,” “Ring Around the Rosy,” and “Sinbad the Sailor” – in brilliant technicolor. Each is told through a different style of dance. Beautifully shot and choreographed, this film is an artistic treat for fans of Gene or for those interested in dance as an art form. The great Barbara Stanwyck stars in this Frank Capra drama as Lulu, a woman who falls in love with a married politician, knowing nothing of his marital status or career when they meet. As soon as she finds out the truth, she puts an end to the relationship, only to discover that she’s pregnant with his child. My favorite Stanwyck/Capra collaboration is definitely The Miracle Woman, but all of the films they made together are wonderful, and this one is no exception! 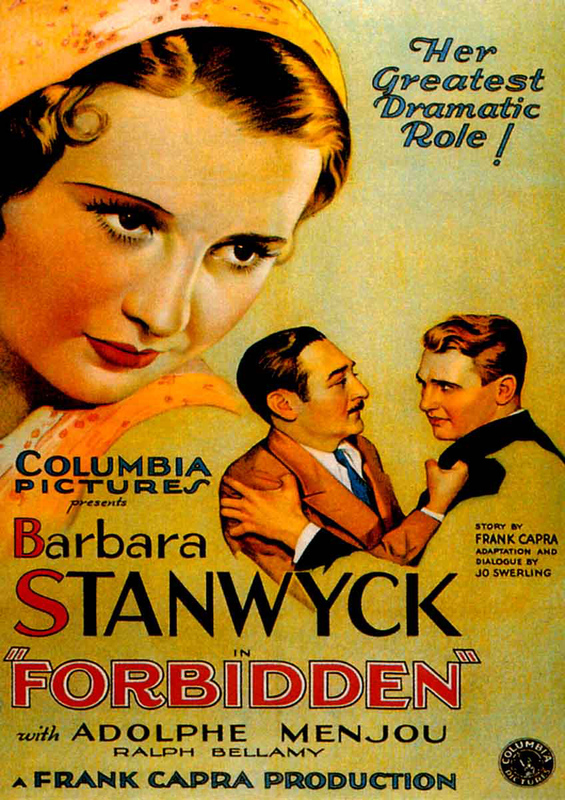 Stanwyck gets the chance to flex her acting muscles thoroughly, showcasing a wide range of emotion. Her leading men, Adolphe Menjou and Ralph Bellamy, aren’t too shabby either. I couldn’t possibly let a week pass without slipping a Cary Grant film into the recommendations list! Arsenic and Old Lace is one of his funniest. 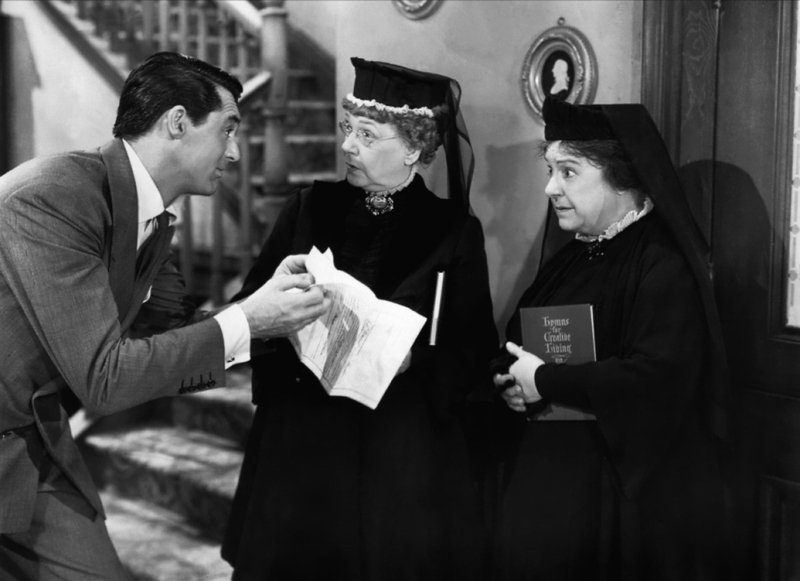 Our dear Cary stars as a soon-to-be-married young man who discovers that his two elderly aunts have a sinister secret: they’ve been poisoning men and burying them in the cellar! A stellar supporting cast (including Josephine Hull, Jean Adair, Peter Lorre, Edward Everett Horton, and Raymond Massey) helps bring the story to life with plenty of laughs.